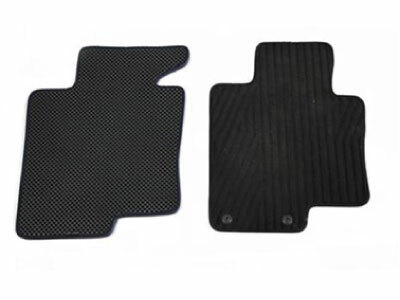 Separable Two Floor Mats : When driver steps foot into the car mat, dust and dirt falls thru the hole patterns of upper mat, this keeps the Car mat always clean. 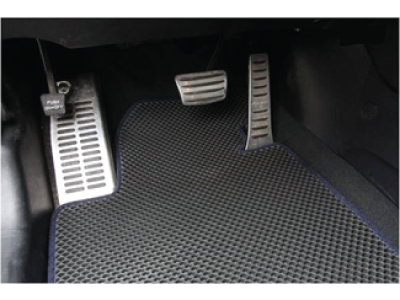 The dusts and dirt are trapped by the holes of bottom mat the prevents the dusts and dirt to be air borne when A/C or heater is operated or any movements from the vehicle. This will prevent the air inside the vehicle from being polluted. Antibacterial Material (Bactecide-N): Prevents bacteria multiplying by mixing Bactecide-N during the forming process. Bactecide-N keeps driver and passengers from musty, respiratory diseases, endocrine-disrupting chemicals from interior vehicle materials.